When it comes to printing, there is more to it than just loading paper and hitting CTRL + P. Just as our creations are carefully curated, the process of printing these works should be too. As official partners of Canon, Total Image Supplies is at the forefront of printing technology, offering customers only the most highly regarded Canon large format printers in Australia. But which model is right for you? 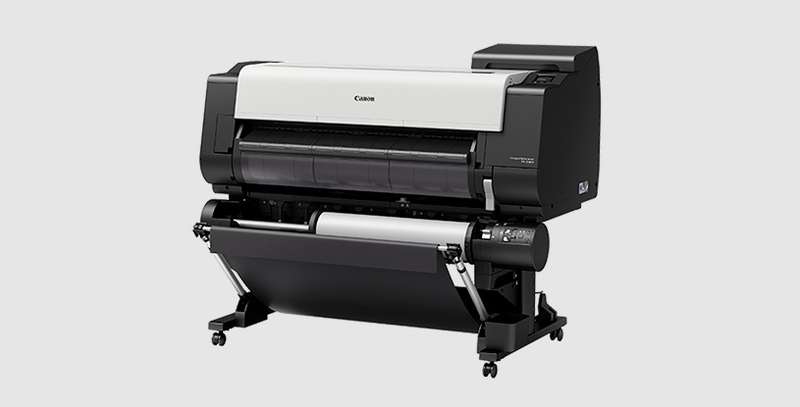 And more importantly, which Canon large format printer price is right for you? Selecting more affordable Canon printers may save you a nominal amount, but if it does not serve your needs, then the discount is inconsequential. Conversely, while the higher-end Canon printers may include more features, they will not be explored if your needs do not require them. Read on to find out which model and price is right for you. Contact our team of experts via an online enquiry or simply call us on [phone] for end-to-end service for your printing needs. The imagePROGRAF Series combines speed, quality, and reliability for extremely versatile printers in all kinds of industries. These printers are popular for graphics, signs, and posters, allowing you to convey your brand message clearly and creatively. The imagePROGRAF PRO Series uses high-tech software and hardware to produce the highest quality prints, with options suitable for a variety of businesses. These printers are popular among photographers and fine artists who are looking to display their art in the best quality. The imagePROGRAF TX provides clear, high-quality printing that's ideal for technical drawings and CAD printing. These printers are popular among architects, engineers, and construction businesses. As official Canon partners, we supply a range of large format printers to cover the needs of every industry. Whether you require a high-quality printer for advertising collateral or for technical engineering purposes, we can suggest the right printer for you. Is this for personal or professional needs? 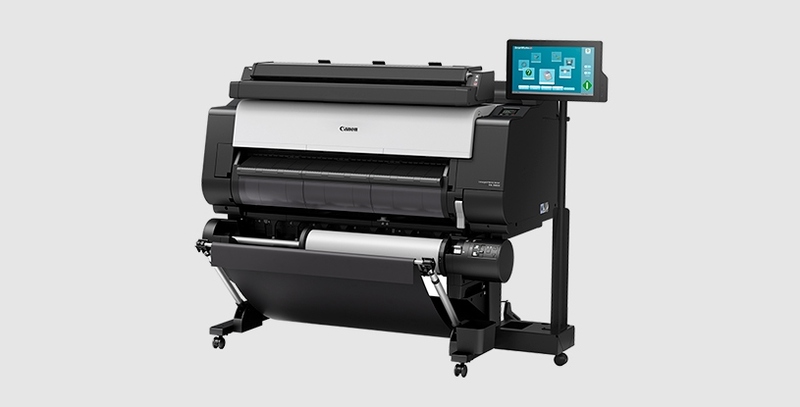 You may find that your need for the printer—whether personal or professional—will impact the Canon large format printer price you are willing to pay. For instance, your profession might warrant the most top-end product but your hobby might not. Can't I just send my work out to be printed? If your needs are frequent, then it may be time to purchase a large format printer to save on professional third-party printing jobs. 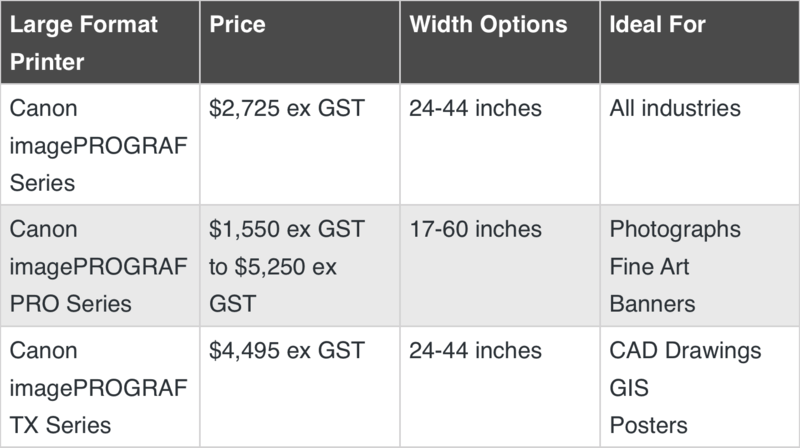 Work out how many printing jobs you send out, and calculate the cost comparison. My needs and industry may be subject to change; what now? If you're only starting out with printing, but expect to do more in the near future, you may need a more general printer model. Identify what your needs are today and what they will likely be in the future to avoid selecting the wrong choice in the long run. Why choose Canon large format printers? 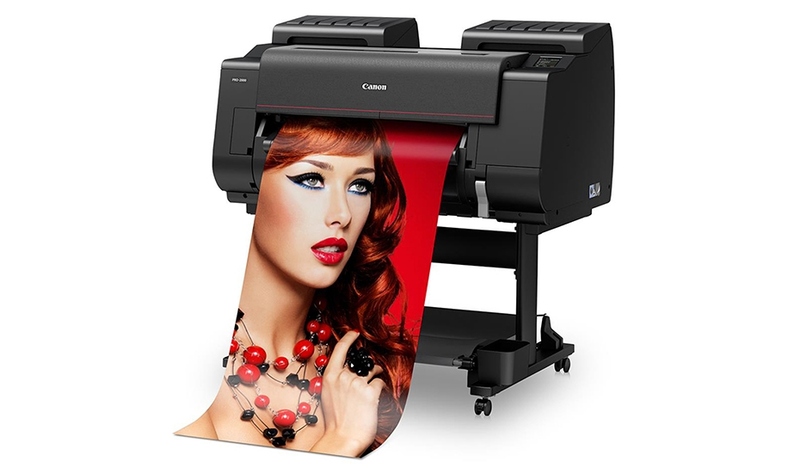 Canon large format printers are as high-quality as one would expect of a Canon product. The printers are used across many industries, as they provide quality prints that can be used professionally as well as commercially. Hidden costs can be a hassle after making an investment in a product. Fortunately, Canon printers operate on low running costs, allowing users to create without restraint. Plans and inspirations change, and Canon large format printers facilitate this through nominal running costs. This type of printer is designed to form an integral part of the success of your projects. Whether there is a deadline that requires revised technical drawings or posters to promote a special, Canon printers can meet your needs in a fast and efficient manner. Despite the cutting-edge technology, Canon printers remain easy to use. Built for connectivity and usability, these printers can be operated by every member of your team or family, regardless of their technological abilities. 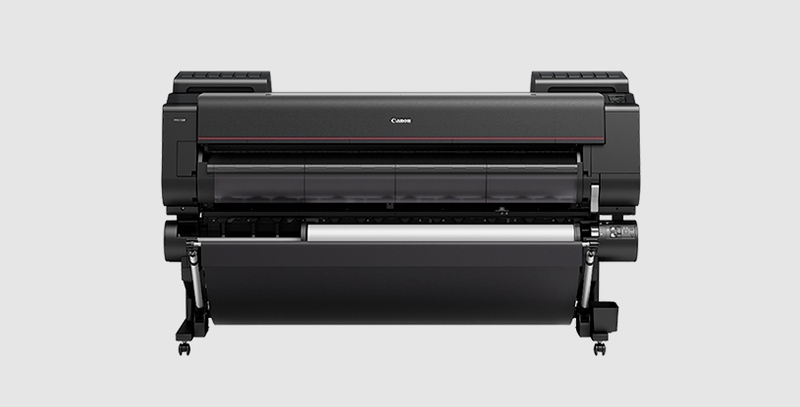 For more advice about Canon large format printers, get in touch with us or call us on [phone] for end-to-end service for your printing needs. Before you purchase a new wide format printer for your small business, here's what you should know. Find out the difference between Epson and Canon Pro Printers and make an informed choice for your pro photo printing.